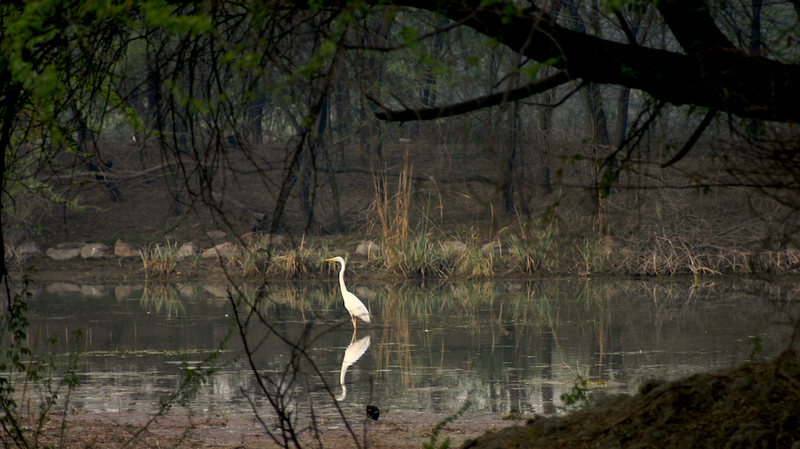 A Great Egret wading in the waters of the Sultanpur National Park. I had never really gone bird watching. There had been a few close chances, but none of the plans had materialised. So when an opportunity to visit the Sultanpur National Park presented itself a few months back (via Sumit Sharan), I wasn’t going to let that pass. It was early March and the winter chill had all but receded. About a half hour’s drive from Gurgaon, Sultanpur turned out to be just the perfect Sunday morning getaway. The weather was pleasant, the lakes weren’t dry, and the birds were there in droves. We arrived at the sanctuary just after sunrise and, as we were told, just a few days before the migratory birds would take off along their journey. We were being led by two experienced bird enthusiasts, and their guidance probably helped make this experience more enjoyable than I realise. The variety of life around that small jheel was astonishing. Seeing such numbers and such diversity huddled in that small patch of land — no bigger than two housing societies — and surrounded by farmlands on all sides was quite incredible. Our guides helped us make sense of it all. They pointed out the different species, their peculiarities, origins, migratory patterns and more, and their discourse was infectious. The more we heard, the more we wanted to know. 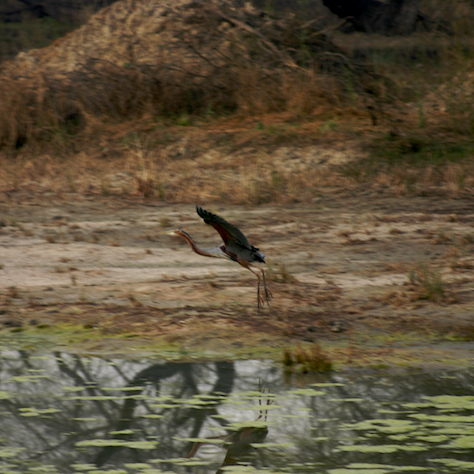 Spotting camouflages, identifying birds, observing their movements… there was so much to see! This 2-odd-hours experience has left me craving for more. I’m definitely going bird watching again. 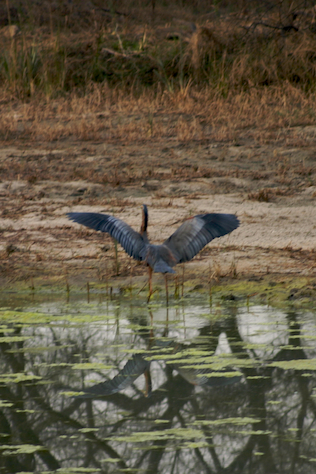 Below: A Purple Heron coming to a halt by the lake. Props to Souvik for lending me his lens. So the Great Egret came out as the winner then. :) Nice framing with the above one. Looks like something out of a documentary – really nice. P.S. I clicked on the image expecting to see a larger version out of recent habits. Would love to see a full-size or your old darken-the-background effect instead. Would love to see a full-size or your old darken-the-background effect instead. Oh how you tempt me for another redesign. How could I have lost track of your pictures! I love the way she stands out. Looks a little unreal.